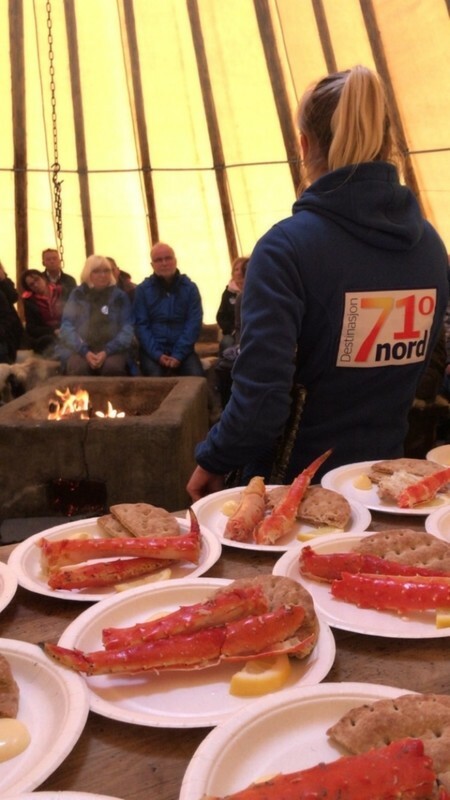 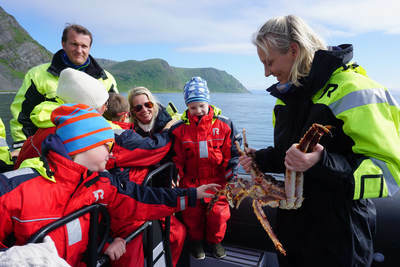 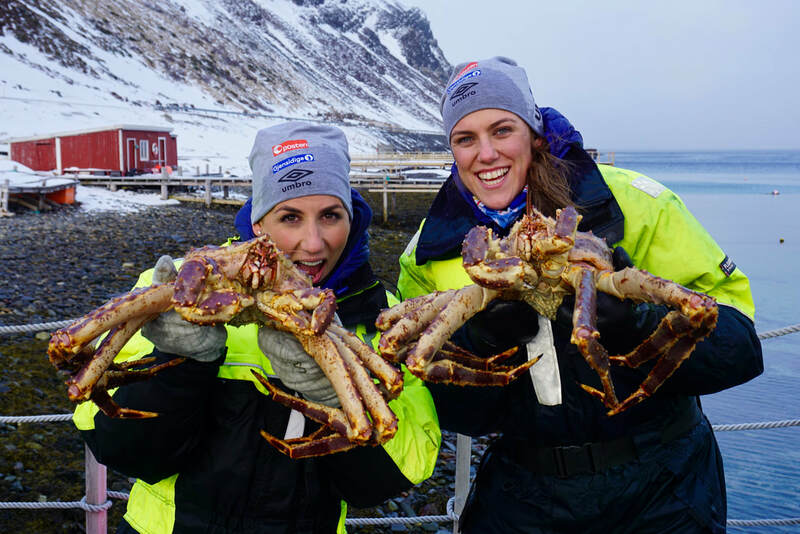 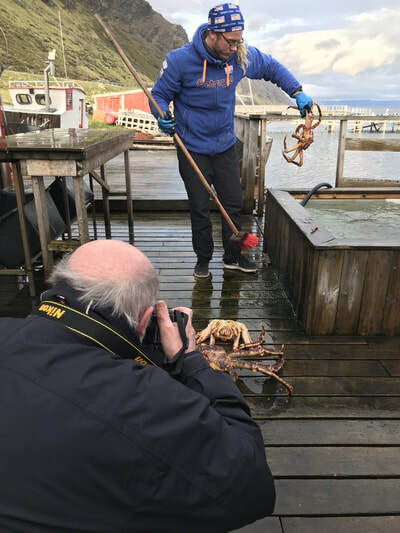 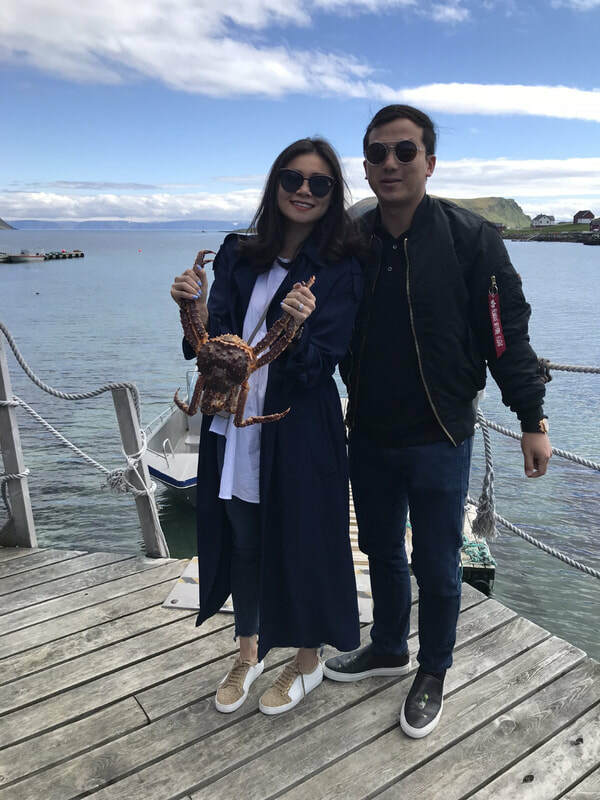 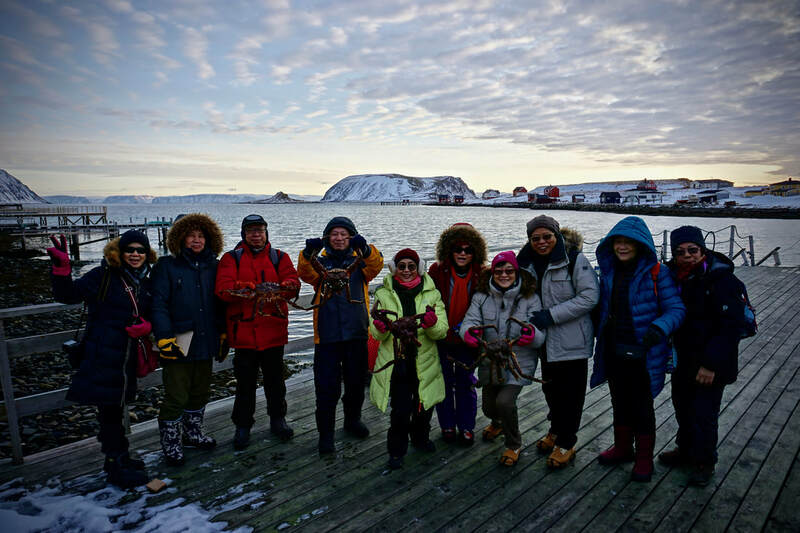 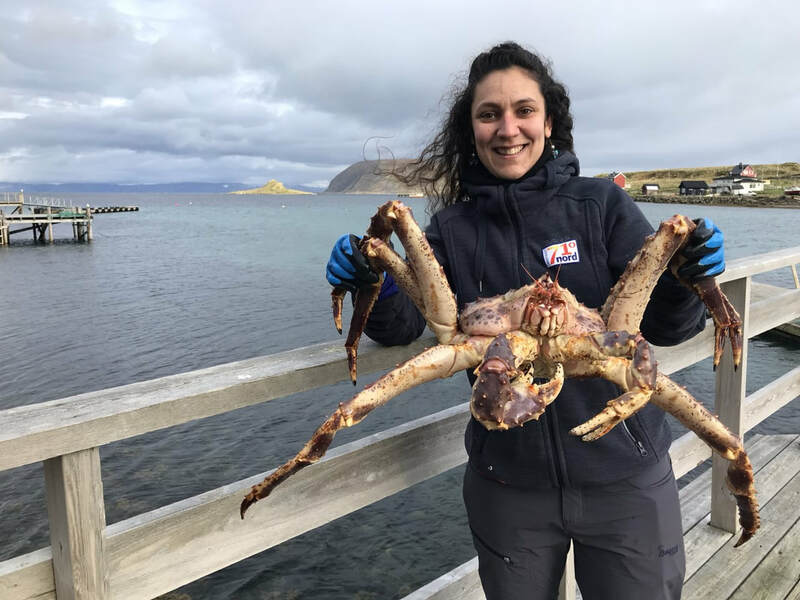 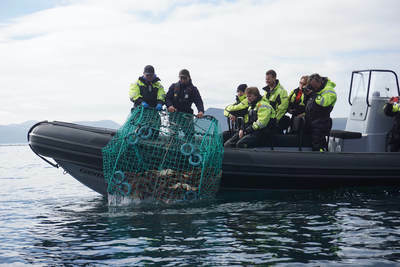 ​Join the King Crab Express and learn all there is to know about this infamous crustacean amidst stunning arctic scenery. 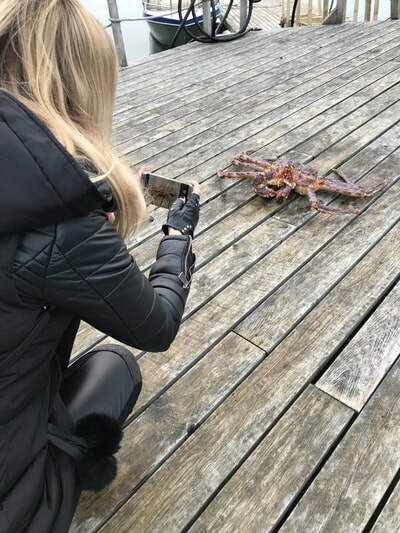 Our staff will welcome you to our facilities at Sarnes, and you will have the chance to see and even hold a live king crab. 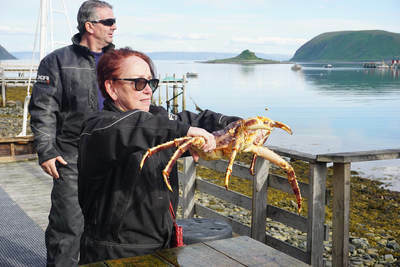 Walking distance from the road to the pier is about 30 metres. ​After a short presentation about the crabs, we serve you a meal of fresh king crab. 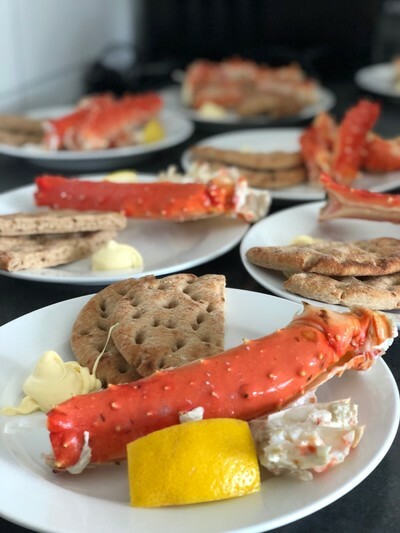 The crab is served with bread, lemon, mayonnaise and mineral water. 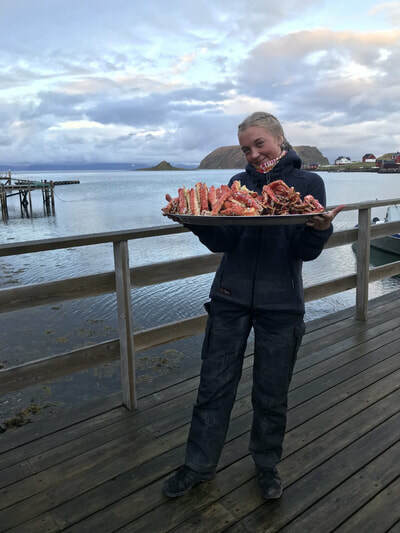 Those who want can buy beer or wine with their meal. We respond quickly and are always available for answering your questions.